The program of state support of in vitro fertilization operates on the territory of the Russian Federation in 2013. With her help, women who are not able to conceive naturally and not have sufficient material resources, can receive financial assistance from the state, but only after a special Commission. Under current legislation, Russian citizens have to help in carrying out in vitro fertilization free of charge, but there are some pitfalls. So the number of quotas issued to the ECO in a particular region, usually restricted, therefore more likely to receive state support is in young women with good health. That is, the authorities require the provision of material support particularly to those ladies who have more chances of successful conception and delivery. The authority to allocate quotas are for medical commissions in every Russian city, which considers applications for budget ECO. Direct transfer of documents is carried out by the doctor of the clinic, which treats a woman who wants to get pregnant, but its collection still has to deal with the future mother herself. These documents include the following signed statement, copy of passport and birth certificate, statement of personal history (will need to assure that a statement of the chief doctor of female consultation), a copy of which has been removed from the policy of the MLA, as well as a copy of the certificate on obligatory pension insurance. If all the papers are collected, duly certified and sent to the Commission for consideration in the proper form, the members must perform the procedure within 10 working days. The presence of the applicant is not required, but may be required additionally in the individual case. 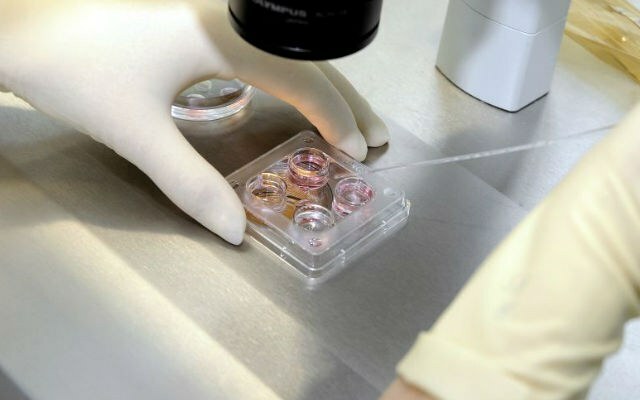 In the case of a positive decision, the Commission will send information about the allocation of quotas in the nearest to the place of residence of the applicant, the office of in vitro fertilization. In the past, and must refer the expectant mother to agree on the date and time of the primary inspection. Unfortunately, the procedure of collecting documents is not the end as certain securities will need in the institution where you will do IVF. Such securities include the following – a quota card to provide high-tech medical care; a certain set of tests taken in the antenatal clinic and the clinic (a complete list can be found in the text of the Order of Ministry of health of the Russian Federation No. 67 of 2003); the appropriate extract from the medical history; a copy of passport and birth certificates, as well as an additional agreement, which was signed by the head of the Commission hearing an application for IVF.